The homeschool community in America has been in an uproar for the past week. Online message boards, facebook communities, and twitter accounts have been frantically exchanging information and conversation on recent events. Questions have arisen. Accusations have flown. Statements have been made. Stands have been taken. There is much to be concerned about. We are grieved about the public disagreement between Ken Ham and the leadership of the Great Homeschool Conventions that broke out this past Tuesday. We are praying, still, the schism may one day be resolved biblically and fellowship in truth may be realized again. We are also concerned about the future of godly small businesses and publishers blindsided by the controversy. Many were caught completely unawares, not understanding the import of this moment until days into the discussions. Now, many fear for their ministries and their livelihoods lest they miss-speak or misrepresent their hard-built works. And since so many friendships are inter-related with other homeschool businesses, what one says could reflect on someone else’s ministry. Some keep silent when they wish to speak; others wish they could take back everything they said last week and start over. Prayer and grace is much needed. I definitely had a unique perspective on the situation. Perhaps because I wrote the critical review of Peter Enns’s Bible curriculum published by Susan Wise Bauer’s Olive Branch Books before it was published; or perhaps because I now find myself in the unique position of knowing writers/publishers and homeschool moms personally, so I could talk to both intimately. I cried with publishers who wondered, quite frankly, if this was the end of their ministry forever and they would never, ever, sell a book again. I cried with moms who wondered if this was the end of their relationship with their favorite homeschool ministries and would they ever, ever buy a book again? I prayed with and for both for wisdom and discernment. And by the end of the week, I began to see God answer those prayers. Home educating families are clarifying their priorities. 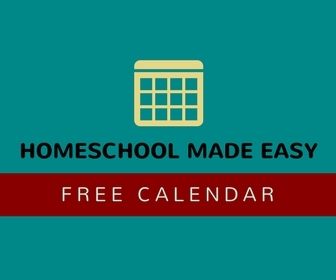 Whether they are secular homeschoolers or intentional homeschoolers, classical homeschoolers or traditional homeschoolers, home educating families are taking a hard look at what they are doing and why. They are firming up their core beliefs and making sure these beliefs are central to their teaching. This is especially true of biblical home educators, those who make up the strong minority of the home educating community. Many of them now feel confronted with the reality that we are, indeed, in a spiritual battle (Eph. 6:10-12) for the faith of our future generation (Jude 1:3). These parents are experiencing a personal revival, a re-commitment to the central doctrines of salvation by grace through faith, the inerrancy of Scripture, and the sufficiency of the Word of God. Parents who build their family and their futures firmly upon the Word of God have the most sure foundation, indeed. I am filled with such optimism for the future of these families. Homeschool publishers and authors are clarifying their principles. As a writer for Home School Enrichment magazine, I cannot be more proud of the public stand the magazine has taken with Ken Ham, who also writes for this publication, by not attending the two conferences from which he was dis-invited. Home School Enrichment is a unique magazine in the home education community – unique in their message, unique in their scope, unique in their writers. If you are a home educator, teaching from a biblical perspective, this is definitely the magazine for you. Not all businesses could afford to boycott the conference. And even so, perhaps not all should. Regardless, there are many large and small businesses attending this weekend, offering excellent materials to support your homeschool. Many are eager to tell you of their passion for the God’s Word and the next generation; be sure to ask. And be sure to support them with your purchases and with a word of thanks. Don’t just take my word for it; read this plea from Hal and Melanie Young of Raising Real Men. I am especially encouraged by the public statements of faith many publishers are releasing now. Realizing, at last, that this is not about science, not about personalities, not about homeschool methods or philosophy, but that this conflict is in reality about the very fundamental doctrines of our faith, publishers are making clear where they stand. Apologia led the way in clearing the air; Fourth Day Press quickly followed. I am expecting more to come, and I’m saving the links to them all for future reference. In the meantime, a lesson for us all is, If you wonder what an author believes, just write and ask. It is in their interest to be forth-coming about key beliefs on the Bible, salvation, faith, the deity of Christ, and more. If a publisher is producing works for Bible-believing Christians, they want those families to know where they stand on the teachings of Scriptures. If a publisher is writing for a secular market, they should frankly say that, too. Just ask. 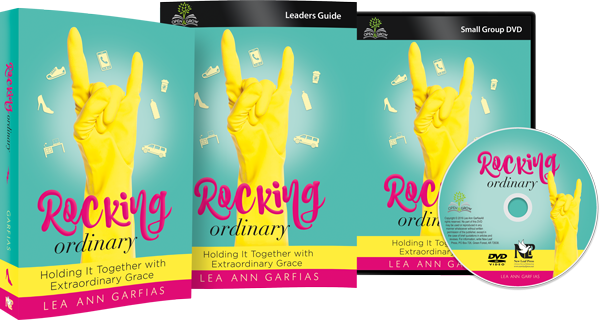 Increased communication between publishers, authors, and home educators will clarify our mutual commitment to rearing the next generation for Christ and ensure quality materials continue to be available. It is natural there should be confusion whenever there is disagreement so public and so passionate. That was just temporary. The benefits of our labors are eternal; we will reap, if we faint not. I believe we are seeing, because of the increased commitment to our eternal values and increased communication between publishers and families, that the state of home education in America is strong. In the meantime, let’s continue praying for one another. Absolutely. I really don’t see the need for all the hysteria. If we’ve all done our homework thus far, then we already understand who we’re doing business with when we buy our curricula. It’s a no-brainer. Is that making it too simple? Thank you for your level headedness. I agree completely. My real concern with the curriculum in question is that they truly are not presenting themselves as they are. I asked and could not get an honest answer. The Bible curriculum is presented in a certain manner, and there has been a clear attempt to disguise the beliefs of the author of the parent’s guide. I think everyone has the right to produce what they feel is good material and allow us to sort it out. But when someone presents material that is disguised as something else, I feel that is both unfair and dishonest. Listening to the clip where Ken Ham questioned the author is enlightening. In fact, most of the clip is an excerpt of the author speaking for himself. The things he said were not the words of a man who should be writing Bible curriculum. I agree, Angie. That disguise is an aberration, and not the norm. And we can see that neither Enns nor anyone from Susan Wise Bauer’s Olive Branch Books have ever made a statement in favor of the inerrancy of Scripture, a literal reading of Genesis, or the salvation of children. That spoke volumes. Publishers with the biblical home educator’s best interest at heart will do all they can to stay true to Scripture and communicate that commitment to the families they support. Praying for wisdom, discernment, and unity in the CHRISTIAN homeschool movement. Thanks, Maggie. I was looking for your post on your site, but I didn’t find it. Could you send me a link? I would appreciate it. Good article LeaAnn! I, thankfully, didn’t have a tough decision to make, because, as you know…I already went to the Empire of Evil (insert Darth Vader March here) in Greenville, SC. BUT, I sympathize with others about the VERY difficult decision of those who could not in, good conscience, go to the other 2 upcoming conventions. I am too VERY upset for the good, and Godly vendors who rely on these conventions to meet their business needs. The Great Homeschool Conventions never thought about them. That wasn’t very “loving” was it? My heart kind of aches for them…even though, I’m quite sure I did my share of “spending” (more Darth Vader music here) in Greenville…LOTS and LOTS of it! Cha-ching! I WISH there was a way for those vendors to provide their wares on a SPECIAL website or somewhere where the homeschool moms and dads can still order from them, while NOT supporting the “convention”, but I don’t know how to make that happen. ANY IDEAS ANYONE!? LOL! I do feel the Lord is screaming in my head: Phil 4:19, “19 And my God shall supply all your need according to His riches in glory by Christ Jesus.” And I pray for all those wonderful vendors who supply us wonderfully Biblically sound stuff to be supplied by the Lord in SPITE of the Evil Empire. I have to agree with Angie too…are we expecting the enemy to come out and say “it’s unbiblical”? Yeah, he doesn’t quite work that way! 2 Cor 11: says, “13 For such are false apostles, deceitful workers, transforming themselves into apostles of Christ. 14 And no wonder! For Satan himself transforms himself into an angel of light. 15 Therefore it is no great thing if his ministers also transform themselves into ministers of righteousness, whose end will be according to their works.” Poor Enns is a deceiver and poor Wiles and Bauer are just plain deceived. I must say, I’m so thankful that I had no connection to any of them. However, I do have one “Story of the World” book that 2 friends recommended to me (I’m still contemplating the way of its destruction–any suggestions? Maybe I can use it as a Science experiement?). Basically, I believe we are in the end times and if you don’t have discernment–you are already deceived. Shop online! Convention exhibitors are found here: http://www.cincinnatihomeschoolconvention.com/exhibitorhall. And be sure, when visiting their site, to let the vendors know you support them. the other to the student book. It wasn’t anything long – just a heads up that people need to READ Bible curriculum before they USE it! I found out about this from a FB friend (I think it was Jenny Carr, UK) and wanted to spread the word. Thanks for your fabulous work!! Wow, I am impressed w/Homeschool Enrichment Magazine! On another note, as I saw you write in a different place, if people are just upfront about what they believe, Bible or otherwise, they will be the ones who are blessed and they are the ones who will succeed. 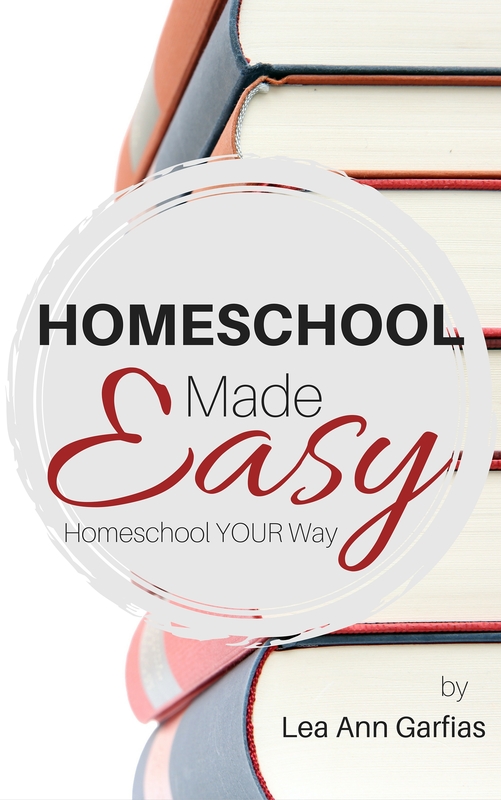 Finally, for those homeschool moms–glad they have other homeschool moms like you to help. My little guys are so young that my curriculum choices are small compared to what other families are facing. I’m impressed, too. It was not an easy decision, I’m sure. Nor was it an easy decision for those who are going to the convention, anyway. I pray many blessings on them all.